If you’ve noticed a build up of limescale around your taps or appliances, you’ll already be aware of what a hindrance it can be. Not only does limescale put your appliances at risk of potential damage and early breakage, it’s also not enjoyable to find chunks of chalk in your morning tea or coffee. But rather than blaming the appliances themselves, it’s worth noting that your water supply is probably the culprit. If you live in a hard water area, this is most likely the cause of your limescale build up. Although you may think your water supply is outside of your control, you can actually change the water that comes out of your taps by installing a water softener. Here’s how it could make a significant difference to your home and prevent limescale once and for all. A water softener contains sodium (salt), which is placed in a tank within your home. The water from your mains supply must pass through this to reach your pipes and taps. As the water passes through, the sodium will effectively draw out the minerals found in your hard water supply, softening it by the time it reaches your utilities. The result will be clearer, softer water that does not deposit these minerals where they’re not wanted – meaning no limescale or residue on your appliances and no more chalky pieces in your drinks and laundry. Yes – it is! As long as you have the water softener in your home and maintain it correctly, it will continue to do its job and prevent hard water from causing limescale and residue build up. What makes it even better is that if you move house at a later date, you can usually take the water softener with you! While switching to soft water will have a significant effect on your limescale, you can’t expect it to simply disappear overnight – as great as that would be! In a matter of weeks, you’ll notice less build up in your appliances, such as your kettle. After a longer period, the limescale will slowly begin to be eliminated from your pipes. Eventually, it will all be gone – with no new scale on the way. Do you like the sound of a life without limescale? If so, a softer water supply is just what you need to make your wish come true. EWT offers a wide range of water softeners and filters, each designed to improve your supply, so take a closer look at the range here at EWT Website – and don’t hesitate to get in touch if you have any questions about our products. We’ll be able to advise on the best possible solution for your needs, helping you to live limescale free. Hard Water Areas In England: Are You Living In One? If you live anywhere in England, you’re probably already aware that there are both areas that have hard water and areas that have soft water. You may even be aware of the ‘divide’ that separates the opinions of people all over the country. Some people prefer soft, others prefer hard, and plenty of people like to argue that their local water is the best. But where exactly are the hard water areas in England? Based on CaCo3 amounts listed by local water suppliers – alongside research by Bristan.com into water hardness by area, we can get a clear idea of which areas have the hardest water. Read on to find out if your home town made the list! The counties in England that were found to have the hardest water based on their mg/l of CaCo3 were Bedfordshire, Bershire, Buckinghamshire, Cambridgeshire, Dorset, Essex, Gloucestershire, Greater London, Hampshire, Hertfordshire, Kent, Oxfordshire, Surrey, Sussex and Wiltshire. But within those counties, you may be wondering which are the specific towns with the hardest water. The towns in England found to have the hardest water were Bath (307 mg/l), Bristol (232 mg/l), Guildford (238 mg/l), Hemel Hempstead (303 mg/l), Milton Keynes (308 mg/l), Oxford (278.5 mg/l), Reading (277.5 mg/l), Slough (204 mg/l), Swindon (348.5 mg/l) and Walton-on-Thames (238 mg/l). Other towns that were determined to be hard water areas included Birmingham, Bournemouth, Brighton, Bromley, Cambridge, Canterbury, Carlisle, Chelmsford, Chester, Colchester, Coventry, Croydon, Dartford, Derby, Doncaster, Dorchester, Enfield, Harrow, Hull, Ilford, Ipswich, Kingston Upon Thames, Lincoln, London, Luton, Medway, Newcastle, Northampton, Norwich, Nottingham, Peterborough, Portsmouth, Reading, Romford, Salisbury, Sheffield, Southall Uxbridge, Southampton, Southend on Sea, St Albans, Stevenage, Stoke on Trend, Sunderland, Sutton, Swindon, Telford, Tonbridge, Twickenham, Wakefield, Watford, Wolverhampton and York. You’ll notice that although it can vary, most of the harder water towns are in the southern half of the country, whilst soft water is more common in the north. This is another reason water is often used to describe the differences between regions! If you live in a hard water area and don’t like the taste of hard water, you don’t have to simply put up with it forever. Instead, you could have a water softener installed, just like the ones we offer at EWT. A water softener will soften your supply and improve its taste, giving you the smoother feel and less chemical taste. To learn more, go ahead and get in touch with us! We’ll be happy to answer any questions you might have and help you on your way to a better water supply. Posted in UncategorizedLeave a Comment on Hard Water Areas In England: Are You Living In One? People are always looking for the next ‘miracle product’. Anywhere you look, it’s likely that you’ll notice ads, articles and features, all designed to sell a new food, cream or treatment that will solve all your health and beauty problems. And while there may be some truth to some of the claims these products make, it’s important not to overlook the ultimate, most affordable and most effective one of all – simply drinking water. Water is a double threat, helping to improve your health and your beauty regime all in one go. Even better, it can be accessed easily and affordably from the tap you already have in your home. Here’s why you should be considering water to be a miracle product in itself. Water can clear up your skin. Water works to purify the skin and help fight acne and other blemishes. This is because it pushes out the dirt that clogs your pores, helping your skin to appear cleaner, fresher and hydrated. It will also help your hair and nails grow healthily. While many turn to supplements to make their hair and nails grow faster, getting plenty of water could do the job just as well. As water hydrates the body and regulates your circulatory system, this feeds the hair follicles, stimulating hair growth. It’s even good for your teeth! Drinking lots of water helps to keep your mouth freshly rinsed out, contributing to clear away build up on your teeth before it can do any damage. It also contains no sugars or additives, which are ingredients best avoided for healthy teeth. It can lower your risk of heart attacks. Studies have shown that people who drink the recommended two litres of water each day are much less likely to develop heart problems or experience heart attacks. It will flush your body of toxins. Water helps to flush your body of toxins, eliminating them from our body and making your liver’s job much easier, ensuring everything can function without issue. Your body will be able to fight illness better when hydrated. When your body is dehydrated, it can develop Chronic Cellular Dehydration, which means the body simply does not have enough water to help it fight off infections and diseases. As a result, your immune system is weakened. This can easily be avoided by drinking plenty of water throughout the day. Considering those are just a handful of reasons why water is so great, it’s clear to see how it could easily be considered a ‘miracle product’. Give it a try instead of the latest lotion or potion. You’ll soon find yourself pleasantly pleased with the results! If you want to drink more water but don’t like the quality or taste of your supply, there’s no need to worry – just get in touch with EWT! We’ll be able to help you find the ideal water filter or softener for your needs, resulting in a safer and better-tasting supply for your home or workplace. Take a look at our range here on our site, or give us a call if you’d like to learn more! Soft water vs hard is more than a matter of taste. There’s a science behind water softening that ensures the levels of certain minerals in the water supply are reduced to create the softer texture and less chemical taste. If you’ve ever wondered how exactly a water softener works to get the result you love, now is your chance to find out! Here’s everything you ever wanted to know about the water softening process! Let’s start with your current supply: Hard water. Hard water has a high mineral content level, with the minerals in question usually being calcium and/or magnesium. As the water is piped into your home through the mains source, it can deposit these minerals on the pipes, taps and appliances it passes through – leaving a build up, also known as scale. 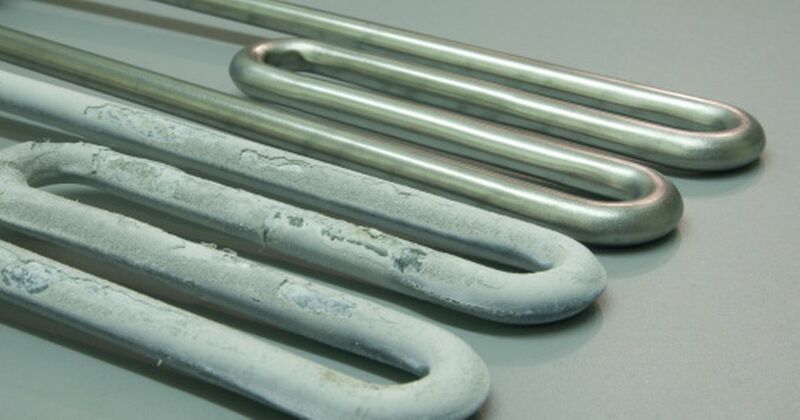 This can eventually cause damage to your appliances, could clog your pipes and even affect your cooking and cleaning due to the chalky residue it leaves behind. Obviously, none of this is desirable, so you’ve probably considered a water softener. Here’s how it works! What is a water softener and how does it work? A water softener consists of a tank, which contains thousands of small beads made from resin, designed to hold electrically charged ions. The water softener will regenerate these beads, filling them with sodium ions – created by the salt you add to your softener. The water from the mains will pass through this system on its way to your tap. During its journey, the resin beads will absorb the calcium and magnesium, removing them from your supply. Can any kind of salt be used in a water softener? Not all salts are made equal, so you’ll need to make the right choice in order to ensure a smooth and effective process. While most types of salt will get the job done, choosing the best kind simply creates a better experience. Rock salt is easy to come by and is not heavily processed, making it an affordable and accessible choice. The downside to this is that it usually contains impurities which can build up residue in your tank, resulting in more maintenance for you. Another option is solar salt, which is evaporated from seawater. This salt creates some build up but not as much as you’d get using rock salt. Finally, there’s evaporated salt. This is essentially rock salt that has been much more processed. This will leave far less residue, if any, and is a great choice if you have very hard water as it is usually found to be the most effective. Now you know how a water softener works, why not try one out for yourself? EWT offers a wide range of water softeners and filters, helping you get a water supply that’s exactly the way you’d like it. Check out the range here on our site, or get in touch with us if you’d like to learn more! 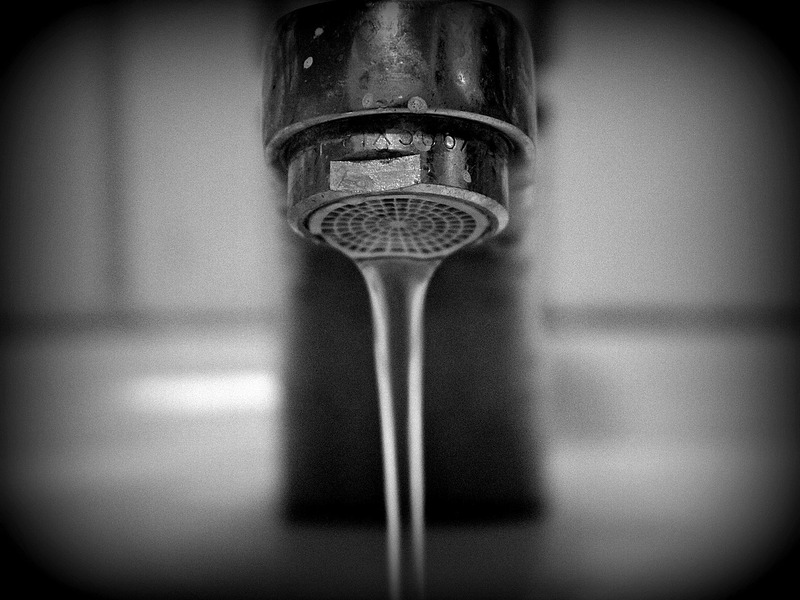 Have you ever turned on your tap, only to notice the water looks a little (or a lot) different than usual? If the colour of your water has changed, this may be indicative of a problem with your supply. Causes of discolouration in water supplies could be a result of natural substances, an issue with the mains deposits, corrosion inside your pipes or internal plumbing problems. Most discoloured water isn’t harmful. However, we agree that it’s not too pleasant to drink or bathe in. However, it’s important to get to the source of the problem just to be on the safe side. Read on to learn more about what the colour of your water could mean – as well as how to fix it! Brown, yellow or orange water can be caused by multiple situations. These include burst mains or pumps, opening or closing of valves, adjusted settings to the mains, cleaning of drains, third party supply usage (eg. fire brigade), poor condition plumbing or service pipes or the event of works maintenance. Sometimes, it’s even as simple as dissolved chemicals, contaminants or suspended materials – which could be effectively removed with a water filter. If your water is milky or hazy, the cause could likely just be air in the supply! You can test this yourself by filling a glass with the affected water and leaving it to stand. If the water begins to clear in the lower half of the glass and eventually clears its way up, the cause is simply dissolved air that’s been released from your supply. In other cases, white residue in your water is caused by high chemical content – especially if you are noticing particles floating in your supply. In this case, a water filter could help to remove those harmful elements and ensure your water stays clear. Blue tones drinking water is usually a result of corrosion in copper plumbing. The blue colour indicates high copper levels and will usually fade if a tap is left to run. If it continues, call your water company or a plumbing professional to take a closer look at the cause and offer their advice. While copper is not harmful in itself, too much of it may cause copper poisoning. You’ll also likely find that the water itself does not taste good, so avoiding it is advisable until the issue is fixed. It is very rare that you’d find these, or any other colours, to be coming from your supply. However, there have been instances of these being reported with very mixed outcomes. If your water has turned a colour that can’t seem to be explained, do not drink it or use it in cooking. Call your water company as soon as possible to seek help and advice. If you want to make sure you have the cleanest, safest and best tasting water supply possible, a water filter is your best bet. A good filter will remove chemicals and toxins from your water supply, keeping it balanced and safe – and of course the correct colour. 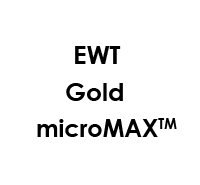 At EWT, we offer a variety of filters at a great range of prices, so go ahead and take a look at some of our models and let us know when you’re ready to place an order. If you have any questions at all, feel free to get in touch with us and we’ll be more than happy to help you pick out your perfect filter. Water Filters: How Does The Installation Process Work? Having any kind of work or installation done within your home or business premises will always come alongside a few questions – one of the major ones being how long it will take to install and how much work needs to be done. We understand that it’s important for you to know what to expect, so that you can manage your time accordingly and plan ahead. That’s why we’ve created this simple guide to how the water filter installation process works. Most types of water filter are designed to be placed under your main sink, most likely the kitchen. There is usually no need for any other under sink pipes to be cut or disconnected – your filter will fit right in amongst them. Once we’ve confirmed the location, it’s time to get started. We’ll use tools and attachments to fix the filter into its new home. Once it’s in place, we’ll be able to start plumbing the water through – the process is beginning! Next, we test for quality and safety. After confirming the water can effectively flow through the newly fitted filter, we’ll check it for its efficiency, any leaks that may occur and how safely connected it is to prevent future damage or strain. If everything’s in its place and properly secured, it’s just about ready to use! 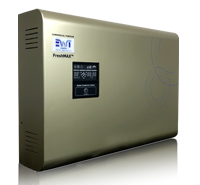 Will EWT take care of the whole installation? Absolutely! When you order a water filter or softener from us, we will certainly take care of the order from start to finish – and that includes delivery, installation and making sure it’s up and running and ready to use. Once it’s all set up, you’ll be able to start enjoying the benefits of filtered water! There are so many benefits your water filter will bring to your home – right after the quick installation is complete. The process takes no more than a couple of hours, so you won’t have to alter your day either. Benefits of having a water filter include safer water with no chemicals or toxins, a cleaner, clearer supply, a better taste, lower water bills and less money spent on bottled water! So what are you waiting for? If you like the sound of a quick and simple water filter installation from EWT, we’ll be happy to provide you with our top quality installation service alongside our great products. Take a look at the range and let us know when you’d like to place your order. Before you know it, you’ll have a high quality and fully functional water filter installed effortlessly in your home. Posted in UncategorizedLeave a Comment on Water Filters: How Does The Installation Process Work? If you’ve ever considered having a water filter installed in your home or workplace, you’re probably already familiar with most of the benefits it can provide. But despite that, many potential buyers find themselves questioning the purchase of a water filter. In fact, there are several very common reasons why many people think they simply cannot have one. Here are just a few – as well as why, really, you can have a water filter installed! As with any home or business investment, cost will, of course, be a consideration. 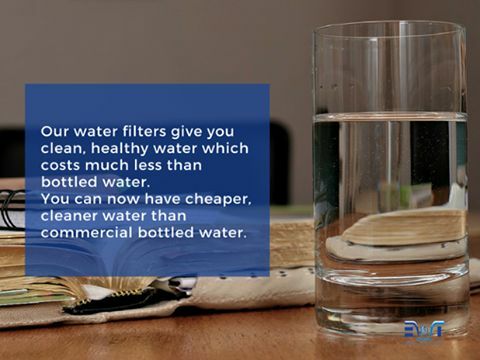 But a water filter may not be as expensive as you originally thought! It’s worth taking a look at the range of available models. You’ll notice that they fall within a wide variety of price ranges, with the more affordable models making them accessible to those with lower budgets. When you first think of a water filter, your mind may conjure up images of a large tank or appliance – a bit like a hot water tank or boiler. But in actuality, they’re a lot smaller than that – and can often be fitted under your sink taking up no space at all! That doesn’t have to be the case! Any home or workplace can benefit from a water filter, from a tiny apartment to a towering office headquarters. Water filters actually don’t take too much effort to maintain. This will vary depending on the water filter you choose, however, it’s usually as simple as switching out the cartridge, membrane or UV lamp. This could be as little as once each year, but be sure to check the manual that came with your filter. You may worry that ordering a water filter will be complicated – especially if you don’t know too much about them and aren’t sure what to ask for. When you order through EWT, you won’t need to worry. Just tell us what you’re looking for and we’ll be able to recommend the best product for your needs, helping to make the ordering process easier than ever. We’ll even come and install it! These are all common reasons for putting off purchasing a water filter, but we hope you’ve been pleasantly surprised after reading our explanations of how you really can purchase and enjoy a new water filter. If you’re ready to start choosing your ideal model, take a look at the range here at EWT, and don’t hesitate to get in touch if you’d like to learn more! If you’ve been considering purchasing a plumbed in water cooler from EWT, you are likely taking the time to consider the benefits before committing to the purchase. We want to give you all of the information you need, allowing you to make the best decision for your home or workplace. That’s why we’ve rounded up these seven great benefits of using EWT plumbed in water coolers for you to think over. We hope they’ll give you plenty of confidence as you go ahead and make your purchase. 1. You won’t need to buy as much bottled water. If you don’t have any type of cooler in your office yet are still following guidelines by providing bottles of water, this can sometimes be an inconvenience. Not only is it costly, it takes more effort to constantly reorder drinking water. With a plumbed in water cooler, it’s always there – direct from the mains supply. 2. There’ll be more space in your workplace. If you’re using a refillable cooler, the bottles it requires are usually very large and cumbersome. They are heavy to transport and take up a lot of space in your office’s storage room. With a mains cooler, you can free up that storage space for something else. 3. You don’t have to worry about refilling it. Refilling a water cooler is always a chore. With a plumbed in model, there’s no need – all you have to do is switch it on or off. 4. It’s cleaner and safer than a non-plumbed in water filter. When water is left sitting there for a period of time, it can start to build-up bacteria – and can even turn green! When it’s all coming directly from the mains, you can be sure that it’s always fresh. 5. It’s simple to use and maintain. A plumbed in water cooler requires much less maintenance than any other kind, saving you time to focus on important tasks at work. 6. It’s a much cheaper way of providing water in your office. Constantly buying bottled water is expensive. With a plumbed in cooler, all you’ll need to worry about is your regular water bill, plus a low fixed monthly rental payment for the cooler itself and an unlimited supply. 7. We’ll take care of the installation process for you. 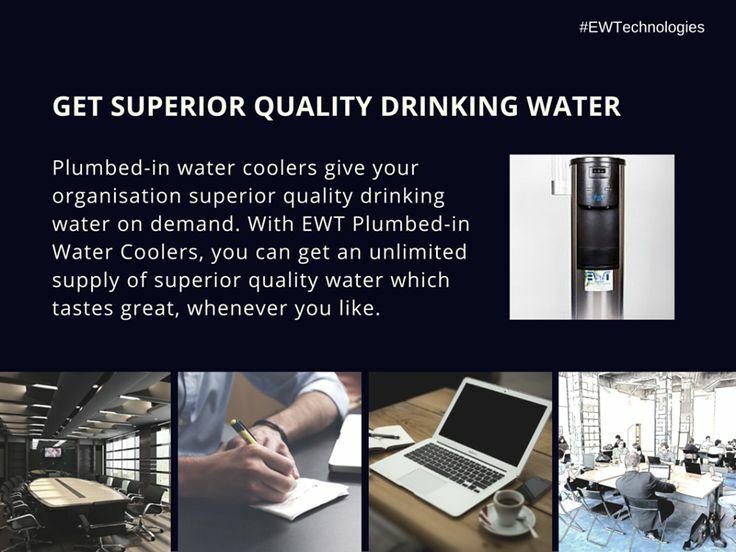 EWT will take care of delivering and installing your new plumbed in water cooler, so you can be certain the job is done well with no extra work on your part. Once we’ve set it up, it’s good to go! If, after reading about these excellent benefits, you’re ready to go ahead and make a purchase – that’s great! 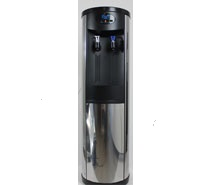 Take a look at some of the plumbed in water coolers here on the EWT website. We’ll be happy to help you with your order throughout every step – from now to installation and beyond! If you haven’t yet made up your mind, there’s no rush! Check out some of our other posts to learn more about what our water filters and softeners can do and you’re sure to find the product that suits your needs. 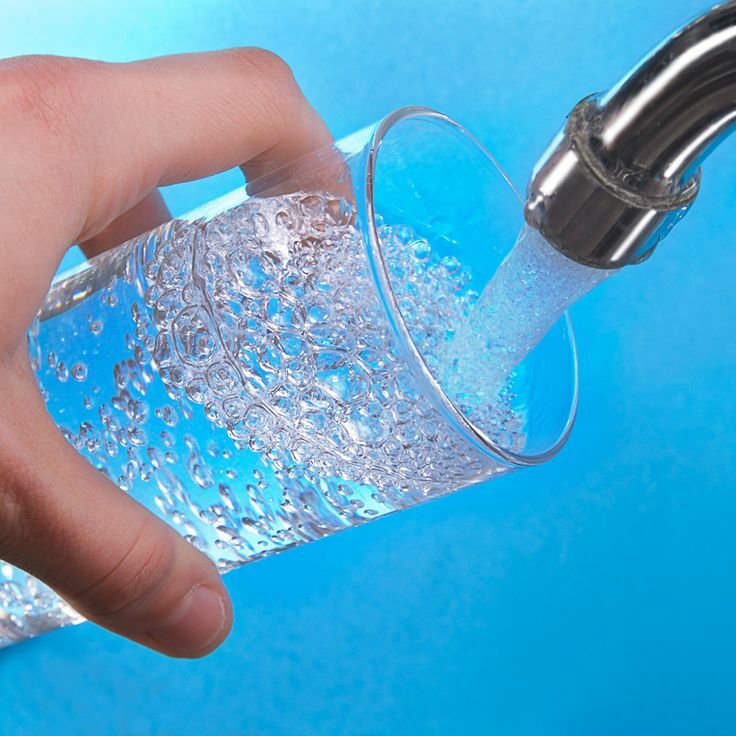 A water filter can be suited to any water supply – whether at home or in the workplace. But as a business, you are probably wondering whether having one installed at your premises makes sense in a commercial sense. EWT offers a range of commercial water filtration systems to suit the needs of almost any business, so read on to discover everything you need to know about our products, their benefits and how to get the process started. Which business can benefit most from commercial water filtration systems? And more! Any large commercial organisation needs water, so having a large scale filtration system to suit it is an essential. Yes! The estimated payback for a hotel, for example, is around 16 months, due to the savings the filtration system will create. These include heating costs (reduced by up to 30%), room cleaning times (reduced by up to 10%) and less repairs and replacements of appliances due to the better supply. Another scenario is the Links Gold Course, with an estimated payback of 18 months due to water bills being reduced by up to 75%! How could I determine whether a water filter is the right choice for my business? At EWT, we can offer you a free EWT iQ Water Audit worth £1500 to help you assess your current situation and decide whether there’s room for improvement. We’ll provide a no-hassle service that can help you achieve lower bills, massive savings and full industry compliance. So, what does it involve? 1. Firstly, we’ll consider how you are already providing water to your employees and customers for drinking purposes, such as bottled water or coolers. We’ll also consider how this impacts your business in terms of costs, your carbon footprint and even storage space! 2. Next, we’ll take a look at the quality of your water, what could be cheaper and what the alternatives could be if you’re looking to save money. 3. We’ll also sum up the essentials, such as risk assessment, temperatures, tanks, Legionella risk compliance, water sampling, required checks and what you need to do. 4. Finally, we’ll factor in how your water use is affecting the environment, as well as its overall safety and quality. This includes checking treatments, appliances which use water, evaluating costs and checking for limescale to name a few elements. By the end, we’ll be able to recommend a filtration system that takes care of all of the above and more. If you’re ready to have a commercial water filtration system installed at your place of work, we’ll be happy to help you make the right choice. Take a look at our products here at EWT Website or give us a call or email if there’s anything else you’d like to know. We can’t wait to be part of your next commercial improvement! We all know that we should be drinking more water, but it can be hard to give up some of our favourite sugary beverages. After all, they taste great! But despite their sweet taste, these drinks are not so great for our bodies. Here are ten reasons you should consider giving up sugary drinks and enjoying plenty of water instead! 1. Sugar filled drinks are high in calories, leading to weight gain. ‘Full fat’ varieties of fizzy drinks have a high number of calories, which may be taking you over your daily recommended amount, which will lead to weight gain if done regularly. 2. Fizzy drinks can increase your risk of cancer. Just a few sugary drinks each week could heighten your risk of multiple kinds of cancer, including pancreatic, prostate and breast. 3. They also make you more likely to experience heart disease. Studies have found links between sugary food and drink and deaths caused by cardiovascular disease. 4. You’ll be at a higher risk of diabetes. Drinks with high sugar content have been linked to an increase in cases of Type 2 diabetes. 5. You could be damaging your liver. Sugar in drinks can lead to fatty liver disease and permanent liver damage. 6. 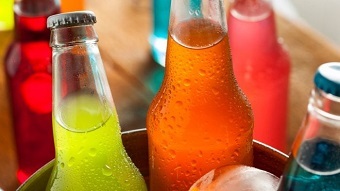 Drinking sugary drinks regularly can damage your memory. Studies have shown that those who drink sugary drinks may have worse memories in the long run. Similarly, these drinks are also linked to Alzheimer’s Disease. 7. There has even been a connection between fizzy drinks and violence. It may sound strange, but researchers have found that sugary drinks made teenagers more violent during a study. The subjects who drank two cans or more per week were found to be more aggressive. 8. They can result in hyperactivity. 9. You may be at risk of premature ageing. If you’re concentrating on trying to look youthful, it’s a good idea to avoid fizzy drinks. The phosphates they contain have been proven to accelerate the ageing process. 10. There are plenty of alternatives out there. If you drink sugary drinks because you think they’re the most delicious option, take a good look around next time you’re at the store. You’ll find plenty of healthier alternatives that aren’t artificial and won’t come with a variety of health risks. But of course, the best choice you could make is just plain water! If you’re ready to give up sugary drinks and make the switch to healthy water instead, you may be wondering how to get the best out of your mains water supply. Having a water filter fitted is a great choice for any home or workplace. Not only will it make your water taste a lot better, it will also eliminate the dangers that can come with regular tap water. If you’re curious about how a filter could improve your supply, check out our other blog posts for more information – or, feel free to get in touch with any questions you may have and we’ll be more than happy to help you out! To provide the ‘best quality’ products, at the ‘best price’ while providing the ‘best service’ to all our customers. © 2018 EWT. All Rights Reserved.